Error code 0x8024001e is a Windows Update error that restricts Windows from installing system updates and updating applications. This error may show up due to one of several reasons. 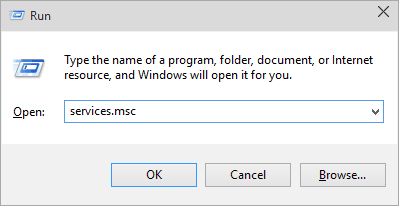 Missing/corrupt DLL files or registry keys, incomplete updates, or malware infections may be some of the reasons behind this error. 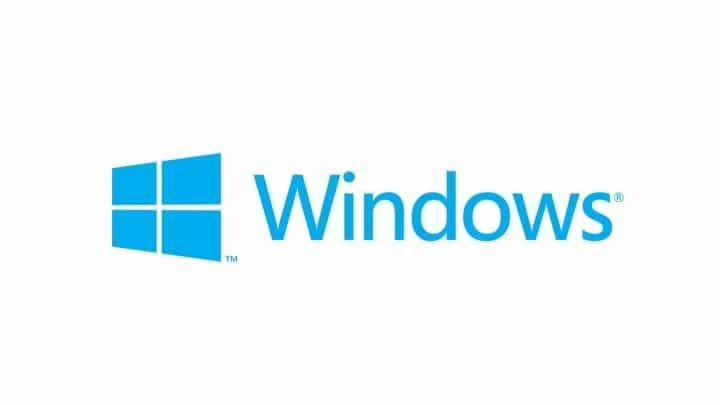 In this article we are going to look into a few troubleshooting steps to resolve error message 0x8024001e on Windows 10. The first logical thing to try here is to check your Internet connection. More often than not, the problem behind the 0x8024001e error is an unreliable Internet connection. If your Internet connection has problems, this article may help you. Also, contact your service provider. Finally, also make sure your regional settings such as date and time are correct. Once you’ve made the necessary changes, restart your computer to see if the error persists. If it does, move on to the next solution. 1. Click on Start and type “Run”. Alternatively, you can press the Windows + R keys. 2. 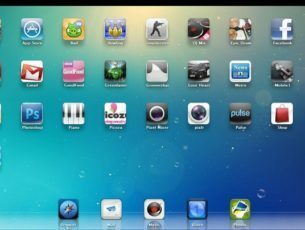 On the Run dialogue, type in “Services.msc” and press Enter. 3. Navigate down the list of services to find “Windows Update“. 4. Right-click on Windows Update and select Start. This will restart the service in case it had been stopped. Once the process is complete, restart your computer to check if the error persists. If if does, move on to the next solution. Sometimes, a corrupt Registry key could result in error code 0x8024001e. Fortunately, it isn’t that difficult to resolve this. Running the Automatic repair tool will find and fix the corrupt entries. It is absolutely vital that you do not interrupt this process while it is ongoing. 1. Click on Start and type “Advanced Startup Options”. 2. Select “Advanced Startup Options” from the search results and this will open the general settings screen. 3. You will find the “Advanced Startup” option at the right side of the window. 4. Click on the “Restart now” button to restart your computer in advanced startup mode. 5. Select the Troubleshoot button and click on “Advanced Options”. The following window should open. 6. Click on “Automatic Repair”. This will restart your computer. Select the administrative account when prompted. The automatic repair tool will now look for and fix any corrupt entries on the registry. Once the process is complete, error code 0x8024001e will most likely have been resolved. If it wasn’t, move on to the next solution. 4. Right-click on Windows Update and select Stop. 5. Navigate to C: (or which ever your Local Drive is) > Windows. Find the “SoftwareDistribution” folder. 6. 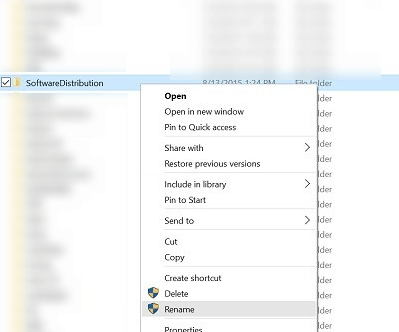 Right-click on the “SoftwareDistribution” folder and click “Rename”. Rename the folder to something like “SoftwareDistributionOld”. 7. Click Start and Type “Run”. Alternatively, you can press the Windows + R keys. 6. 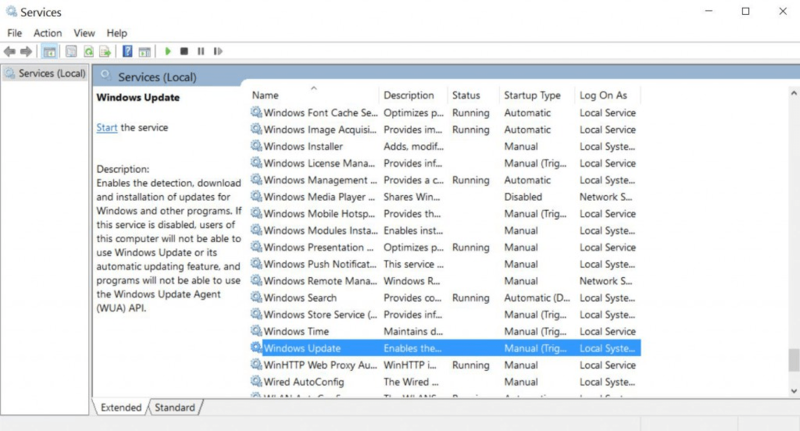 Navigate down the list of services to find “Windows Update“. Once the process is complete, restart your computer to check if the error persists. If if does, move on to the next solution. 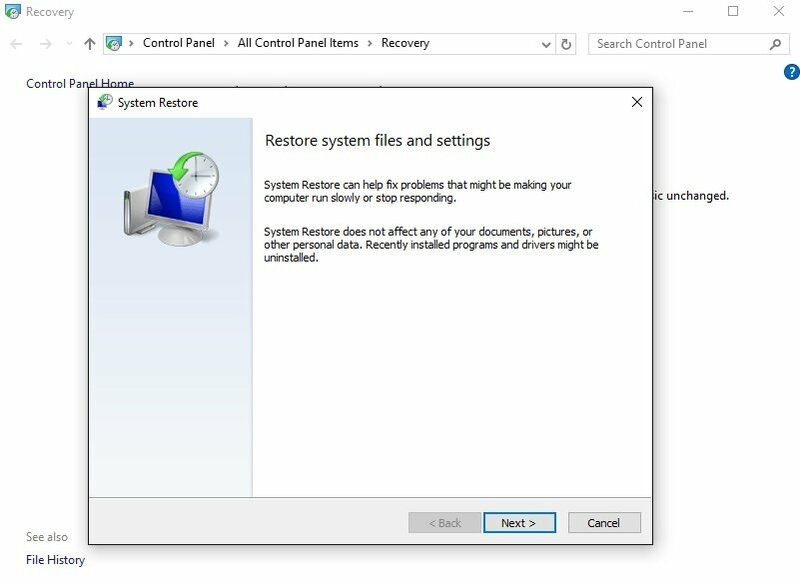 If all else fails, try using system restore to restore your computer to a state from an earlier date. 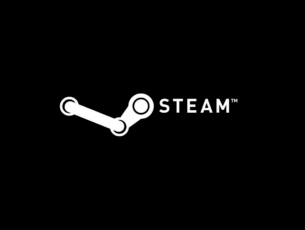 If the reason behind error code 0x8024001e showing up on your computer is due to some recent change, this should fix the problem. 1. Click on Start and type “System Restore” on the search box. 2. Select “System Restore” from the search results. 3. On the newly opened window, follow the on-screen instructions. The system restore process will now start. Once the process is complete, restart your computer. This will most likely fix the 0x8024001e error. 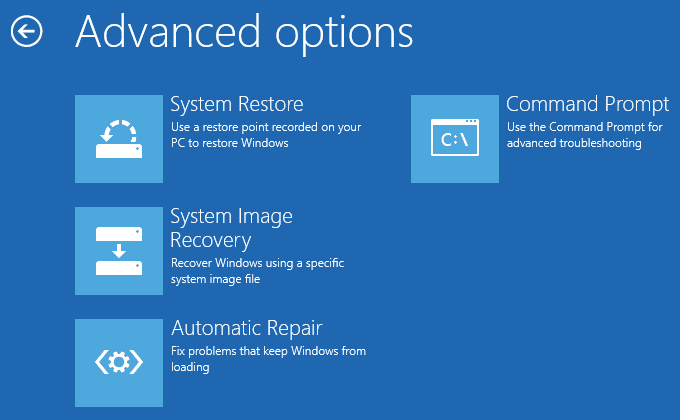 If system restore won’t work, this article will definitely help you to fix the problem. Hopefully one of these solutions worked for you. If not, try contacting Microsoft Support.